Explore a new dimension as you use your sewing machine to "paint" with thread. 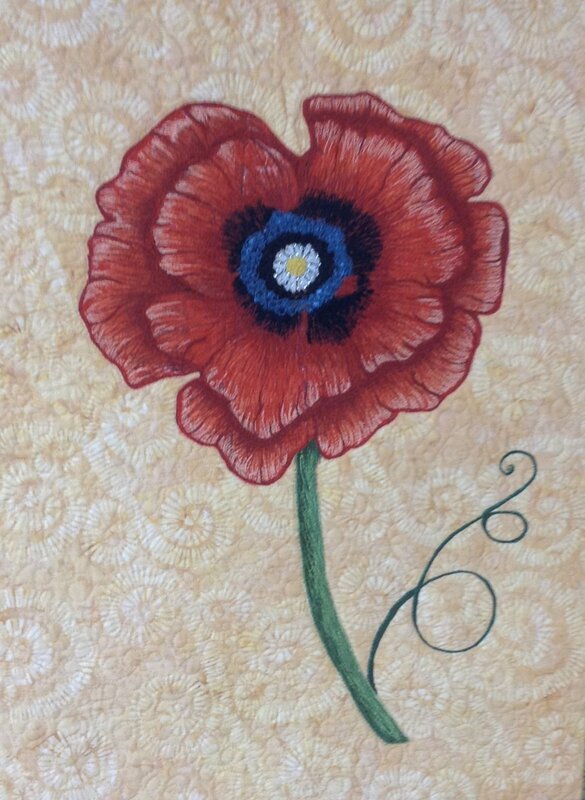 In this introductory class, you will practice free-motion quilting and thread painting. With your newly learned skill, you will thread paint a small project. The quilt shown here is just one of many patterns that you can make once you are comfortable with this technique. Stop by shop to see sample. Materials Included: Kit includes materials needed to practice technique and complete top.